Support of each of these cycles depends on your particular machine. So make sure to double-check you manual before using any. Especially the ones from the second table! 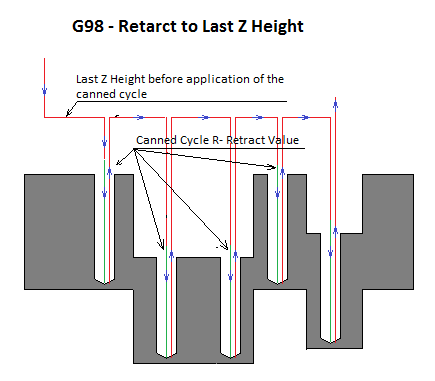 G98 and G99 codes control Z- retract distance between holes in the same cycle. 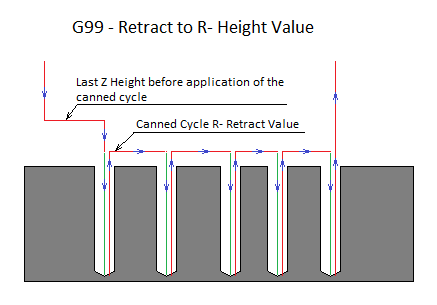 G98 Clearance Height Retract After each hole Tool retracts to the last rapid - Z height before the application of the canned cycle. Used when there is need to avoid clamps or part features that are above the R-value height. 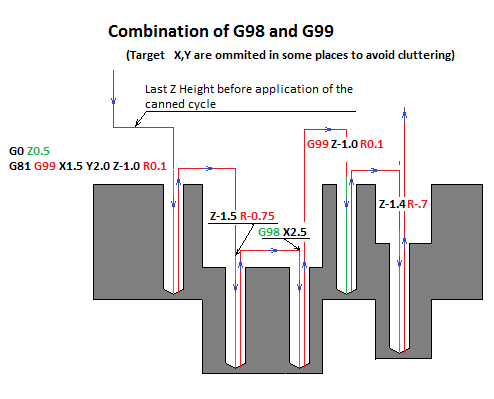 As you can see we need to apply G98 on the hole after which we need to retract to the clearance height. As already noted above each control will handle these cycles a little differently.